Leave skin feeling fresh and invigorated with this Organic Homme Scrub It Exfoliator from Green People. This organic face wash contains Bamboo extract and Cranberry powder which helps to remove dead skin cells whilst the Natural clay (Bentonite) draws out toxins and impurities. Suitable for men who may be prone to eczema, psoriasis, acne & skin blemishes, this gentle wash also contains soothing, fairly traded Shea butter. Free from Parabens, phthalates, artificial perfumes, petrochemicals and alcohol (ethyl alcohol, ethanol) 90% certified organic ingredients. 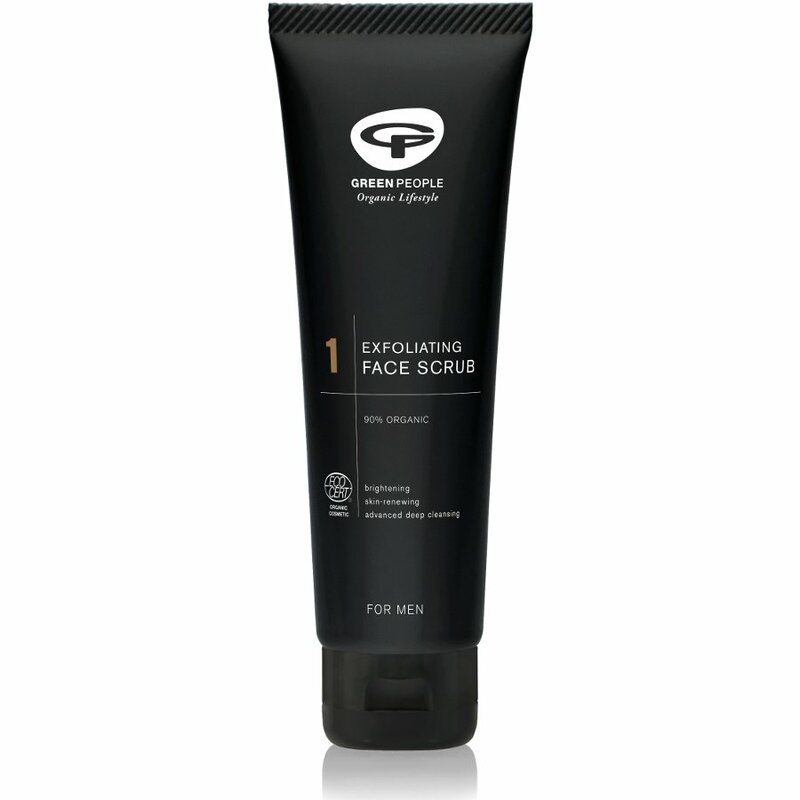 The Green People For Men Exfoliating Face Scrub - 100ml product ethics are indicated below. To learn more about these product ethics and to see related products, follow the links below. There are currently no questions to display about Green People For Men Exfoliating Face Scrub - 100ml.